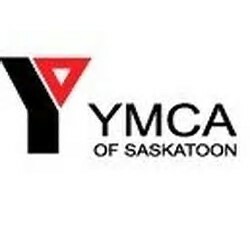 YMCA Saskatoon is the operator of the licensed 90-space child care centre located in the spacious area between Lake Vista Public School and École Holy Mary Catholic School in Martensville. The licensed child care facility is open five days a week, 12 months of the year, with the exception of statutory holidays. Please remember that priority will be given to children residing in the school community, as well as to those with siblings enrolled in Lake Vista Public School. The Before and After School Care Program (BASC) offers a safe, fun, and stimulating environment for young people ages 5 – 12. Providing care before and after school on site, the program supports the learning goals of the school community while enabling parents and caregivers to pursue their employment or study commitments with peace of mind. Our friendly, professional, and experienced program leaders engage children in a variety of age-appropriate, fun, and stimulating activities designed specifically to enhance the cognitive, social, physical, and emotional development of children. Through the implementation of these activities, YMCA core values of caring, acceptance, honesty, respect, fairness, and responsibility are reinforced. The YMCA offers simple plans that allow for flexibility, ease of use, and consistency for parents and caregivers, as well as a specific plan for kindergarten schedules.